This feature inside AriticDesk allows you to define minimum strengths for passwords for all the user’s. The system rates password strength on a scale of 0 to 100, where 100 represents a very strong password. 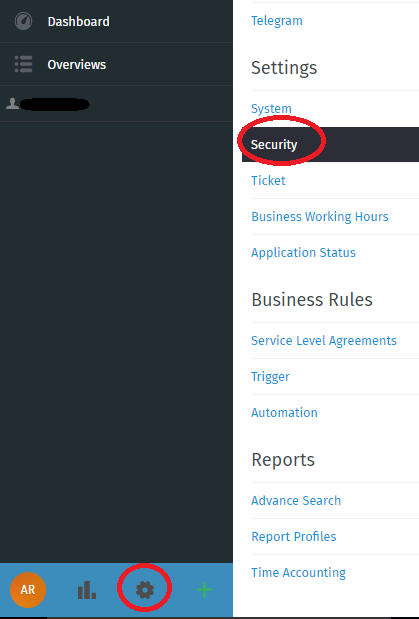 Go to AriticDesk Dashboard > Admin > Settings > Security. Maximum failed logins – Number of failed logins after account will be deactivated. 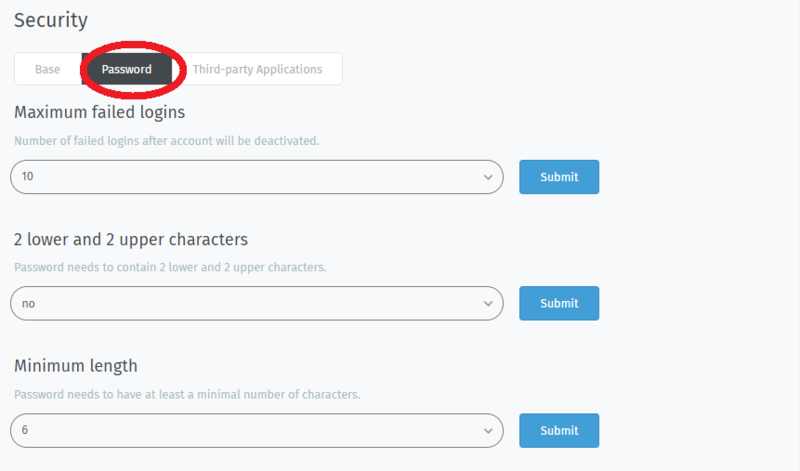 2 lower and 2 upper characters – Password needs to contain 2 lower and 2 upper characters. Minimum length – Password needs to have at least a minimal number of characters. Digit required – Password needs to contain at least one digit. Click “Submit” after each step.